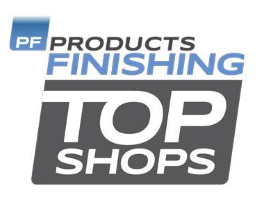 WESTBROOK, Maine – Silvex Inc. is proud to announce that Products Finishing Magazine has named our business one the top 50 finishing companies in North America for the fourth consecutive year, making us the Top Shop Award winner for 2018. This award is based on criteria over several industry-specific areas of the business, including sales, quality, certifications, customer base, diversification, and technology. Silvex is only one of 12 companies to receive the honor of the Top Shop Award for four consecutive years. Interested to read more? Products Finishing Magazine will be releasing an article about Silvex and the prestigious award in their winter 2018/2019 edition, so stay tuned! 2019 Silvex. All Rights Reserved.